National Drunk and Drugged Driving Prevention Month is the perfect time to encourage employees to lead a healthy and balanced lifestyle during the holidays—this includes promoting healthy alcohol behaviors. Creating a healthy alcohol and tobacco/drug free workplace can jump start healthy habits and be a positive influence on your employees. According to the Centers for Disease Control and Prevention (CDC), excessive alcohol consumption costs the nation over $200 billion annually. This high cost trickles down to employers like you in the form of direct medical costs and lost productivity. In fact, a significant portion of the cost incurred from excessive alcohol consumption is due to lost productivity, including absenteeism and presenteeism. The holiday season is often accompanied by an increase in social events where alcohol is served. As a result, there is an increase in DUI’s and fatal alcohol impaired vehicle crashes around the holiday according to the National Institute on Alcohol Abuse and Alcoholism. Well Nation® encourages you, as an employer, to raise awareness about healthy lifestyle behaviors that include moderate alcohol consumption and responsible driving decisions. 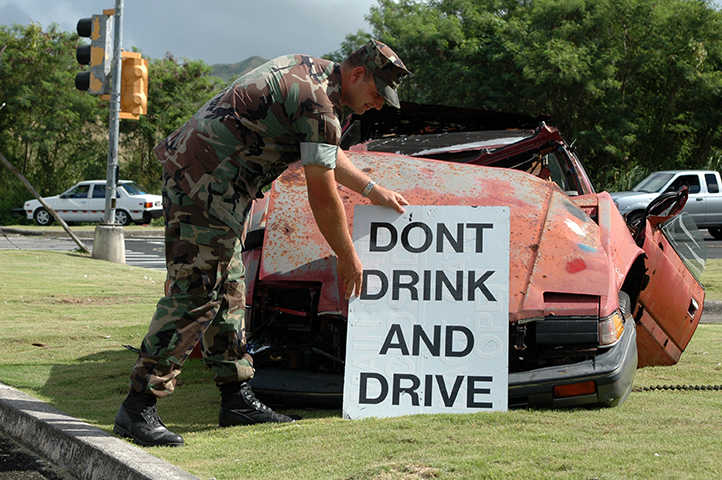 Educate employees on the risks and consequences associated with driving while under the influence of alcohol or drugs. Also help educate employees on what is considered impaired driving. How can my organization help our employees avoid excessive alcohol and alcohol impaired driving this holiday season? Promote moderation prior to the event. Remind employees ahead of time of the importance of moderate alcohol consumption and your expectations as their employer. This may include messaging at company meetings, on a mass company email, or other mode of communication best suited to your organization. Limit alcohol at the event. This may include having a time-limited cocktail hour, using a specified number of alcoholic drink vouchers, or even consider hosting an alcohol free party. Also consider the venue and time of day, as both can contribute to higher (or lower) alcohol consumption. Encourage a safe ride home. Consider offering taxi vouchers, organizing a designated driver program in advance of the event, or providing a shuttle service. How can my organization help our employees avoid excessive alcohol and alcohol impaired driving throughout the year? Establish drug and alcohol-free company policies. Remind employees that drinking and drug use are strictly prohibited at work. Make sure your drug and alcohol policies are regularly reviewed and highly communicated. Offer coverage for substance use products. Offer workplace workshops or educational resources to help with substance use. The Well Nation® platform is designed to help employees develop and sustain healthy behavior and well-being for life, including healthy alcohol consumption. The Well Nation® inCheck Evaluation (health risk assessment) includes an assessment and individual report related to tobacco use, alcohol use, and impaired driving. Well Nation® also offers targeted wellness coaching, where our expert wellness coaches provide guidance, support and strategies for success throughout a 12 week period. Promote resources already available to your employees. Ensure your employees are aware of any substance-related resources already provided by your organization. This may include an Employee Assistance Program. Remind employees that use of free employer-sponsored services, such as an EAP, are strictly confidential. Your organization’s EAP may also have helpful resources for employers in developing drug-free policies and programs at the workplace. Implement drug testing procedures and policies. A drug testing program can help create a safer, healthier workplace. Make sure to look into any federal and state laws if considering a drug testing policy for your organization.